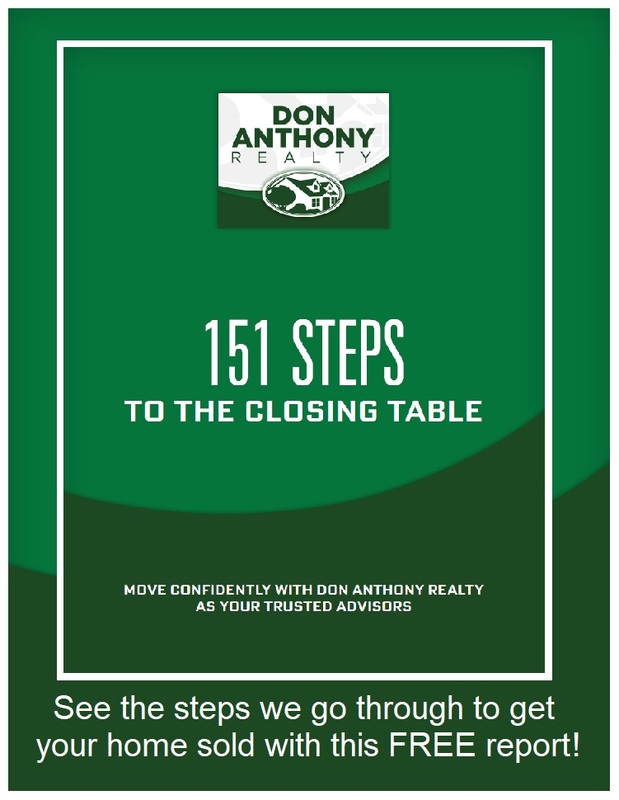 DON ANTHONY REALTY will show your home if an interested individual calls Don Anthony Realty. An OUTSIDE AGENT from another company will set up a showing appointment time that meets your schedule. YOU can show your home to buyers you find on your own and/or do your own open houses (which can save you from having to pay a buyer’s agent commission). Same-day and even last-minute requests of showings are common, so a seller with a 24-hour notice to show stipulation often cuts himself out of a good portion of the buying market. If sellers choose to make showings difficult, it will cut down on showings – and fewer showings equals fewer potential buyers. Having a lockbox on your front door will give you the freedom to let both Don Anthony Realty and other Agents show your home when you are not there. Through the Internet, we can even track the agents that have been in your home. Your listing agent will bring a lockbox to your scheduled appointment, or we can mail you one from our office any time if you choose this optional service.